Ganesh, son of Shiva and Parvati, nuzzles up to the lingam, the phallus that represents his father. 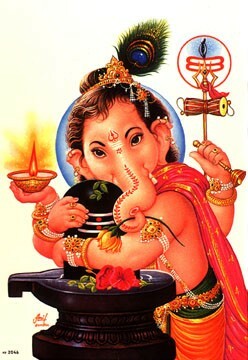 The peacock feather on his head is usually worn by Krishna as a child, but here they added it on to Ganesh! !